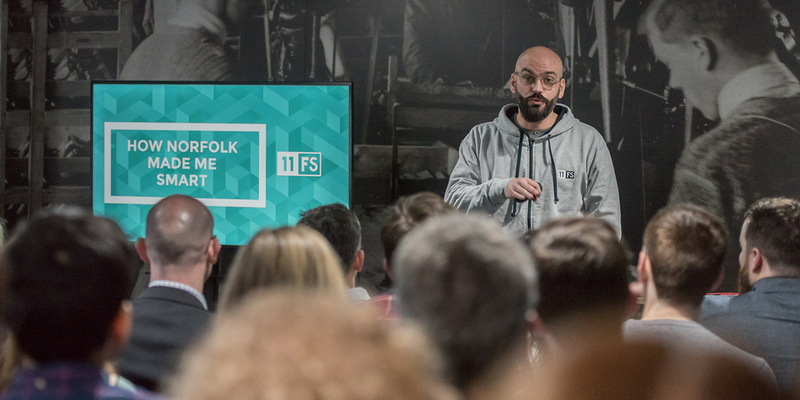 David Brear is CEO and co-founder of 11:FS, host of the Fintech Insider podcast and a UEA graduate. He has the attention and ear of CEOs from some of the world’s largest financial institutions and has built a business on helping banks become “truly digital”. David described his career as “a voyage of exploration”. A driven individual, he is drawn to industries and problems that need solving and endeavours to understand and master new things as quickly as possible and from many different angles. Before leaving “real work” he delivered large-scale digital transformations at Aviva and Lloyds Banking Group, and led Gartner’s Global Digital Banking practice. 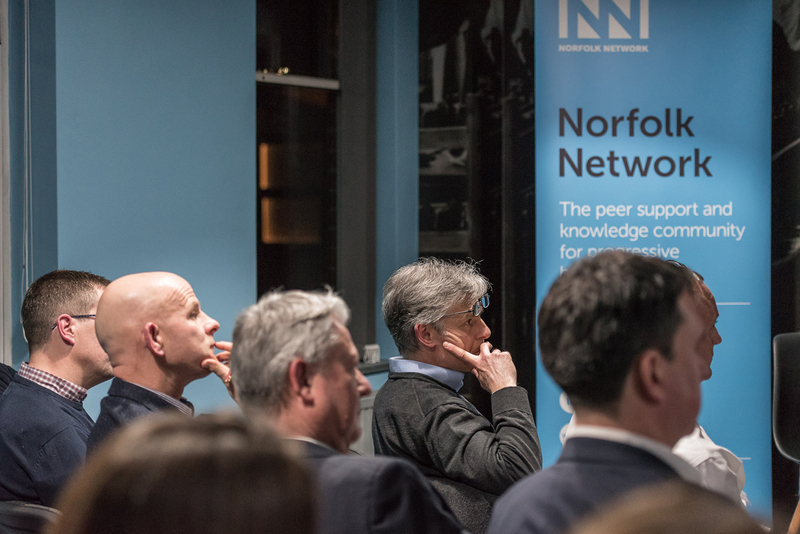 He also cut his teeth in user experience at Foolproof, so it was fitting that its Founder Tom Wood should introduce David at Norfolk Network’s January event. “I wasn’t the smartest kid”, confessed David. “It wasn’t that I was dumb, it was just that I did not care.” As the sporty kid at school David was focused on playing sport but a knee injury meant he had to “get a proper job”. Despite the billions of pounds invested in digital banking David also realised that it was no better in the noughties than it had been in the nineties. In fact, digital banking had become a worse version of its previous analogue self and had further distanced customers from banks. In the meantime, challenger banks and Fintech start-ups had come at the problem from a different angle and were connecting with customers by meeting un-met user needs. 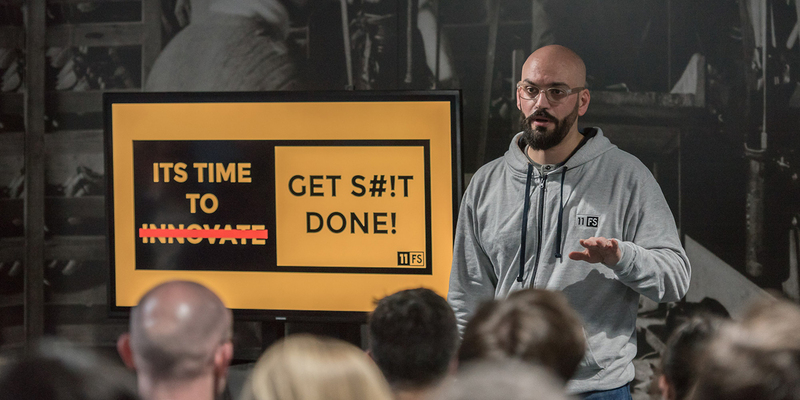 With this realisation David founded 11:FS with no money, no office and no clients and set about changing how the banking industry went about digitalisation. 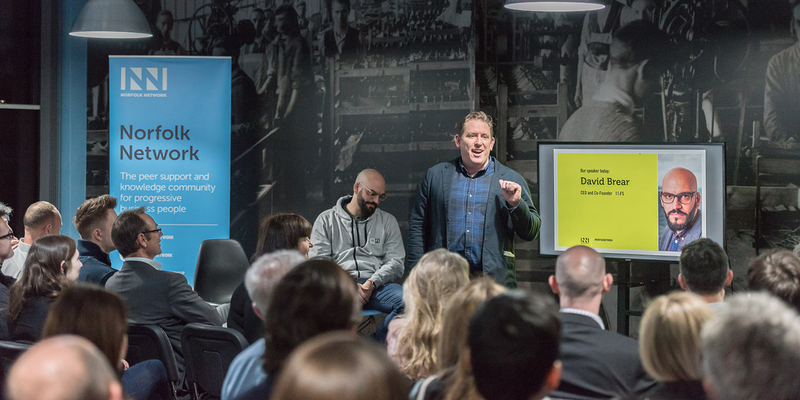 He was joined by Simon Taylor from Barclays, Jason Bates Co-Founder of Monzo and Starling, then Meaghan Johnson and Ross Methven who were previously running a research firm. With £0 in the marketing pot he attracted the attentions of “some pretty impressive people”. 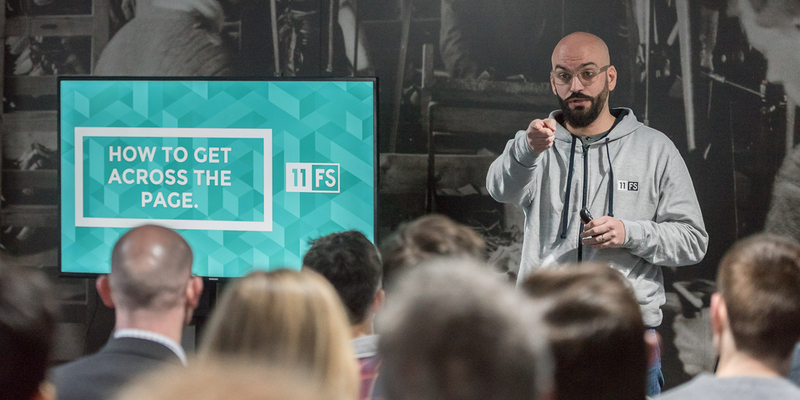 15 months on and 11:FS has 65 employees operating out of London, New York and Chicago (Singapore and Brisbane coming soon), has amassed 110 companies and built 7 new brands. In addition, people’s experiences with consumer goods has become the benchmark for other services, thus widening the service gap in banking. The “dumbed down” digital version of analogue services has led to what David describes as a “one thing fits nobody approach from an experiential perspective”. When David says banking is only 1% finished he is referring to everything; payments, insurance, asset management etc in both retail and commercial banking. When speaking with senior banking people David often refers to his banking battlefield diagram, which represents what’s happening in the industry today. There are three main groups. The big, legacy organisations hold most of the customers but have low sophistication when it comes to digital products and services. Brand challenger banks such as Tesco and Orange started out with good intentions but have ended up just being smaller versions of the big banks. When banks ask David how they can move from the left side of the diagram to the right his reply is: “you can’t and should stop trying.” Banking has been slow to digitise so what started out as small incremental changes to keep up have now become chasmic. In addition, the behaviours of change in these organisations have become “prohibitive to innovation and change”. Digital transformation within banking is often “an army of people”, revealed David. 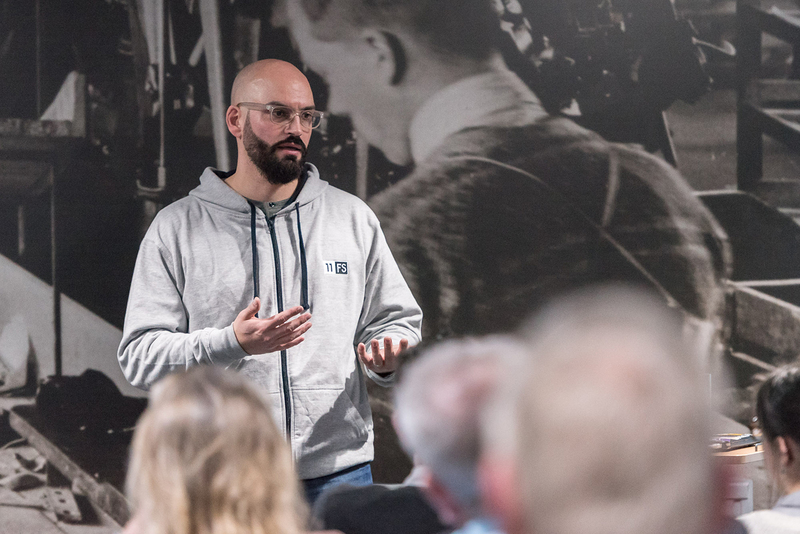 Fintech teams in contrast are “small and can build something so compelling that someone like HSBC will partner with them because they can’t build that capability.” The first iteration of Monzo for example was built in just 15 weeks with a mostly non-FS team.